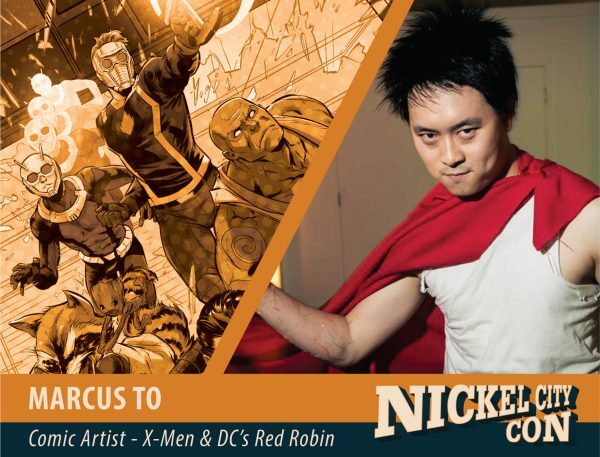 Marcus To is a Toronto-based artist and illustrator whose previous work includes Marvel’s X-Men and DC’s Red Robin. To, who was born in Alberta, Canada, has been drawing since childhood. With the hopes of keeping her very active son occupied, his mother started drawing pictures for him, then gave him a pencil and encouraged him to do his own. Now a member of RAID studios, an art collective in Toronto, he is the artist on the upcoming Age of X-Man: Next Gen with Marvel Comics.